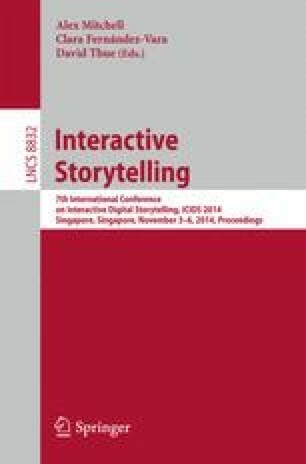 In this article we explore some of the methodological problems related to characterizing cognitive aspects of involvement with interactive narratives using well known EEG/ERP techniques. To exemplify this, we construct an experimental EEG-ERP set-up with an interactive narrative that considers the dialectical relation between suspense and surprise as a function of expectancy, which in turn can be correlated to the P300-ERP component. We address the difficulties of designing a coherent narrative with a suitable level of closure while meeting the requirements of the ERP experimental procedures. We stress the necessity of fine-tuning the highly specific ERP paradigms necessary for the investigation of user experience in interactive narratives and storytelling.